Stuff, Things, etc. : Things that make me ridiculously happy. Things that make me ridiculously happy. 1. The Broncos are 4-9. When we were watching some football recap last week, I actually cackled with laughter when that popped up. This is just one of the many headlines I've taken a picture of. 2. 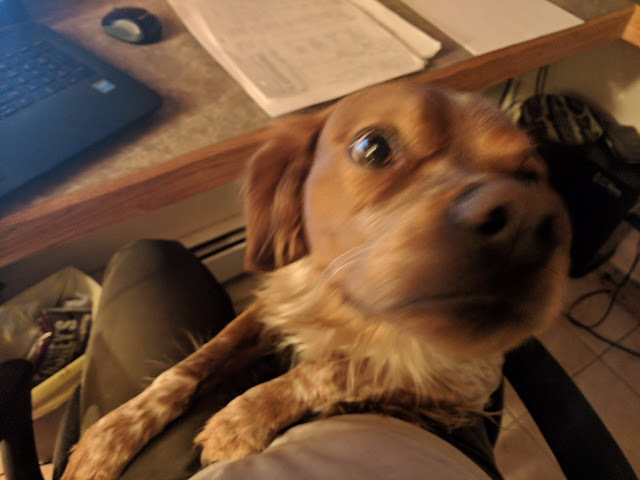 That Steelers game on Sunday night was not pretty to watch at all, and Scout the Dog and I gave up and went to bed with 8 minutes left because Sunday nights are hard enough: I don't need to deal with that kind of disappointment before bed (this is the same reason I don't check my work email before bed). 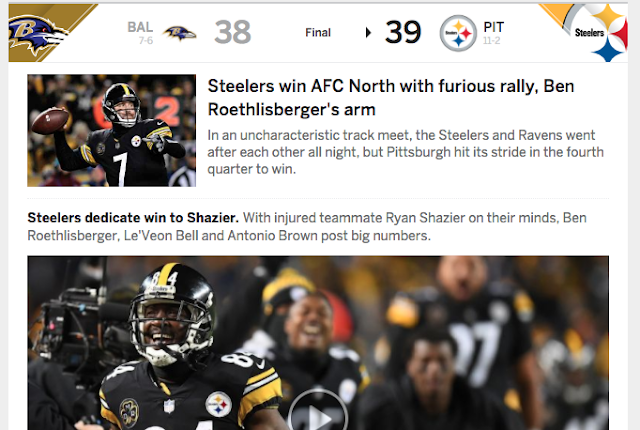 When Scott came to bed later, he said the Steelers won and I more or less didn't believe him. Also, I think the Ravens played really well but the refs were too old to be able to see. I don't hate the Ravens; I hate their fans. Kind of like with the Broncos. 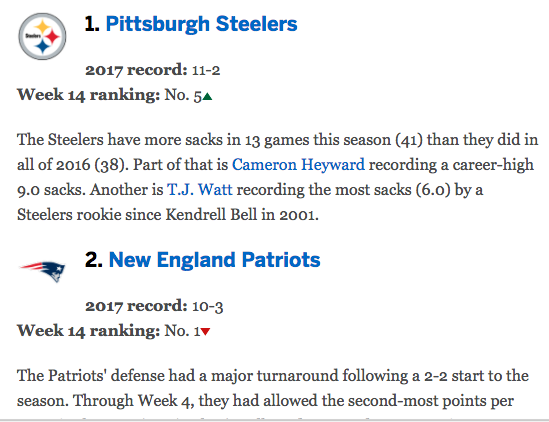 Because the Patriots losing makes me as happy as the Steelers winning. 3. Listening to podcasts that reaffirm that what we're doing in schools is likely not working. Knowing there are people out there doing things that go against what we're told to do is heart-warming. It's like a resistance movement. 4. This kid knows what a pushover I am for her drawings. I look forward to grading her papers for this reason alone. There's about 6 different pups (all unique) that make an appearance each week. 5. My dogs. I'm pretty sure I love them more than anything. I miss them so much when they're not here. Scott takes offense to this (like, don't I miss him?) but I've done without him for long stretches of time. The dogs have been my one constant in the last 4 years. What's making you happy this week? I'm the same way about my dogs. People just have to not be offended by that anymore with me. My heart belongs to 4 legged creatures. Haha. They need their momma. Haha the pup drawings are amazing! Unfortunately I have to cheer for the patriots to make my cousin happy but what is an even better eyeroll is that the Rams are actually doing okay in LA this year...gag me!